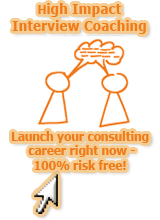 High-impact, one-on-one, 100% risk-free coaching for your McKinsey interview success - with a full money-back guarantee! First of all, you might be wondering why I call the coachings "high-impact" - it's not a simple marketing term, but it has a serious background. I call them "high-impact" because some of my coaching candidates received an offer from McKinsey directly after their first-round PEI & case interviews, without having to go through the final round interviews at all, as their performance was so stellar that the McKinsey interviewers decided on the spot to give those candidates an offer immediately after the first round of PEI & case interviews! If your stories are close to perfect already and I cannot add any significant improvement to your PEI story, guess what – I will make a full refund at the end of your coaching session! For some recent candidate reviews of my coaching sessions, please have a look at the tab "Ratings" on my PrepLounge Profile. Begin to initially structure each of the stories for the three dimension (they will be roughly 10-15 minutes in the first round interviews, most of the time). I recommend using the PARADE framework (I think Victor Cheng came up with it initially), which stands for Problem, Anticipated consequence, Role, Action, Decision-making rationale, End-result. For now, there is no need to go into too much detail yet. During my coaching sessions with hundreds of candidates over the last couple of years, I made an interesting observation. 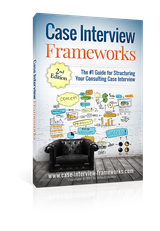 More often than not, there is a huge gap between what candidates think they apply from The Ultimate McKinsey PEI Prep eBook on their stories vs. what they actually apply. This might be a small, subtle semantic difference, but it makes an important difference in the outcome of your Personal Experience Interview. It is exactly the difference between safely passing the McKinsey PEI vs. losing your McKinsey offer. Just to be very clear on this one: without a close-to-perfect PEI, you will not get a McKinsey offer, no matter how well you did in your case interview. Knowing a lot of things about the PEI theoretically will not be enough to achieve a close-to-perfect interview performance (which is, by the way, the kind of performance level McKinsey is expecting from you). The only way to achieve this level is a consistent, stringent application of all the knowledge available in The Ultimate McKinsey PEI Prep eBook, so please try to be very self-reflective once you defined your stories, if they really meet all the requirements shown in The Ultimate McKinsey PEI Prep eBook. Coachings are done via video call (skype). Appointments are made individually and are generally possible 24/7. I will get in touch with you directly asap after your purchase – no action needed from your side. Any further questions about the McKinsey PEI Coaching? 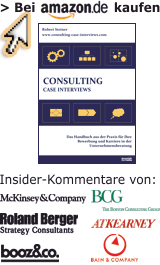 Out of all candidates who purchased The Ultimate McKinsey PEI Prep eBook and left me some feedback, and did at least a 1hr PEI coaching session with me, 96% successfully passed their Personal Experience Interview at McKinsey - I guess that is a pretty good ratio!